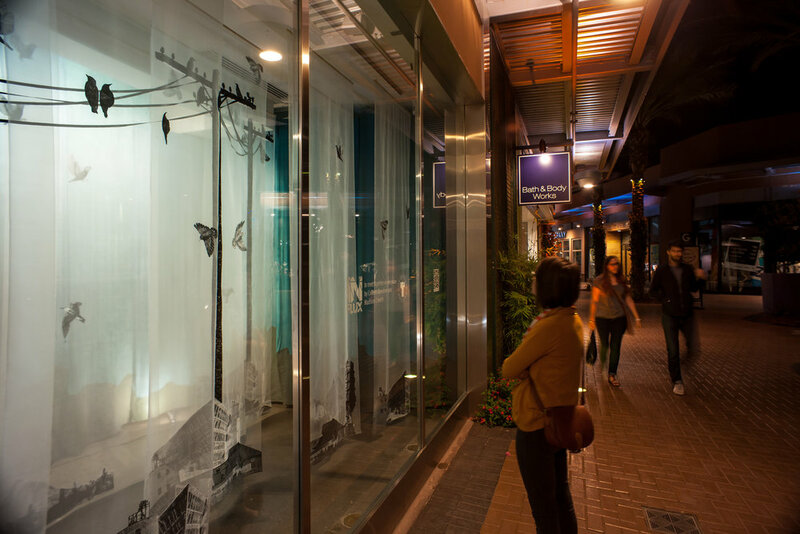 Colleen Donohoe and Madison Creech collaborated to create to come together in one place as a reflection of the sense of community provided by Tempe Marketplace. Both artists explore the effects of physical location in their work: with textiles, Madison investigates cognition that is linked to place, and Colleen utilizes the printmaking process to study personal and cultural identity linked to the area one calls home. 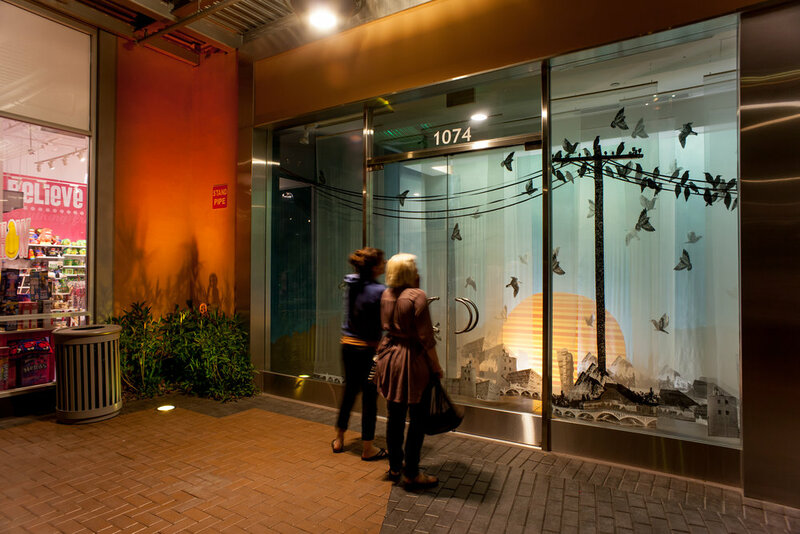 Using collaged images of iconic landscape and architecture found throughout Tempe, together with a roosting bird motif, the artists illustrate connectivity, community, and the ability for people and towns of the valley to flock together. 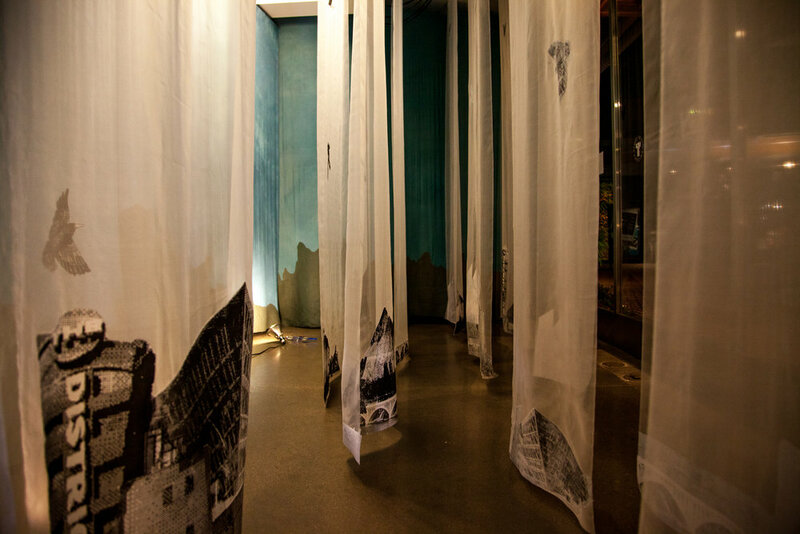 The staggered layers of sheer fabric, adorned with hand printed and collaged imagery, create a sense of depth that is indicative of the expansive community that utilizes Tempe marketplace as a social hub. IN FLUX has provided these budding artists the opportunity to continue to explore installation and site specific art as a team, and to expand their work into a more public setting.